A man and his dog. I'd love to meet Wendell someday. Still National Poetry Month! Horray! My attendance record on the Isle has been shoddy lately, but here's why: I've been reading (and working and mothering and traveling and teaching and . . .) But reading always. And reading poetry! 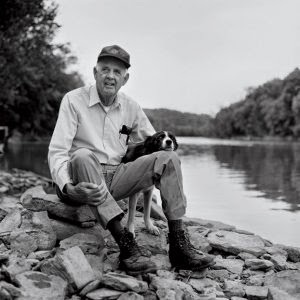 My new poet of choice with whom I am completely smitten: Wendell Berry. grateful for summers . . . Instead, the Berry poem I want to share today is one from his The Broken Ground, published in 1964. Music is always a topic of interest to me--the language of the soul. And I believe Berry's poem "To Go By Singing" presents in only a few powerful images the language of a singular soul that most people might overlook. It is achingly beautiful. (It reminds me of Maya Angelou's "Caged Bird" - another great poem to read if you haven't yet.) I hope you enjoy this poem as much as I did, and still do with every reading of it. a rag of a man, with his game foot and bum's clothes. and to all who will listen. with her hands full of flowers and not move. and provided him a clean quiet stage to sing on. or change it, except by freely adding itself. Happy National Poetry Month! And Happy Friday! the caged bird almost made me want to rush into the other room and let my cocatiel free. almost. Yes, to be the chosen companion (or resting place) for another is always reason to feel blessed. Thanks, Debbi! Love the poem, Anna. Thanks for sharing it with us today. So glad you enjoyed it, Susan! Thank you!